Allie and Cameron were such a wonderful couple to work with. 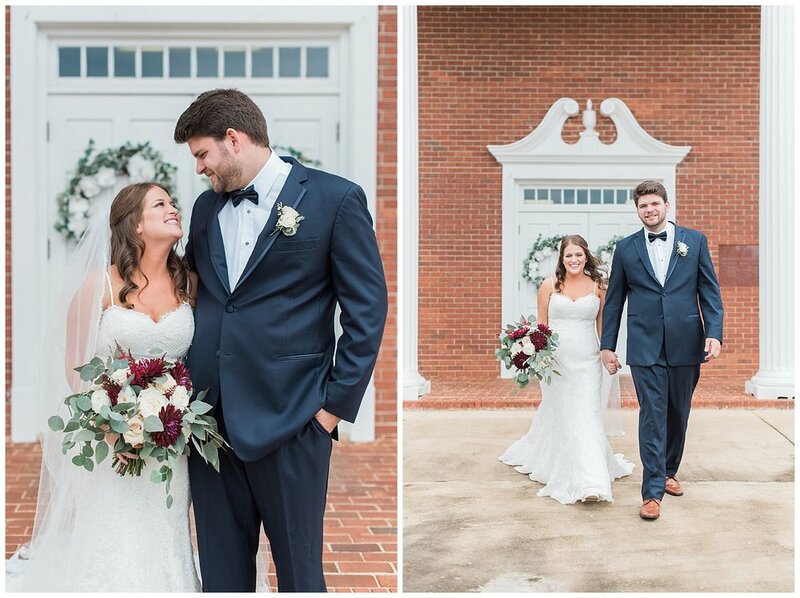 You could tell that their goals for their wedding were to glorify God and to celebrate with as many of their friends and family as they could. Cameron is the youth pastor at the church where they work so it was fun to see all of their students there and crushing it on the dance floor. Congratulations Mr. + Mrs. Adkins! I vividly remember the first day I met Cameron. I was looking for Mike’s office and he led me to it. After talking with Mike for a bit, Cameron came in and Mike awkwardly left us to get to know one another. It didn’t take me long to realize that something was different about this boy. The main thing that stood out to me was how intentional he was. He asked me so many questions and I could tell that he genuinely wanted to hear the answer. Another thing that caught my attention was that he constantly made eye contact with me. Not in a creepy way, but in an intentional and interested way (it also let me see how beautiful and blue his eyes are!) From the first day I met him and everyday since, Cameron has made me feel valued and important. Allie said: getting to do everyday together, even if we won't be together during the day just knowing that I will come home to him is the most exciting thing ever. Also we're pretty young so a lot of the time it feels as if we're growing up together and it's so fun learning with him by my side. Cameron said "that it's been too long!" haha. But honestly the hardest part has been planning for a large guest list. Just making sure there is enough of everything for everyone. Describe your fiancé in three words.